This competition is now closed. The winner was Karen Parker of Stevenage. September means Zero Waste Week, and this year’s theme is ‘Use it up!’ – with a focus on food waste, and how to reduce it. The week runs from 5th-9th September this year, and in celebration of this important campaign, we are running a Zero Waste competition throughout the month of September. Recycle Week and Waste Less Live More Week are also this month, so there’s lots to celebrate! 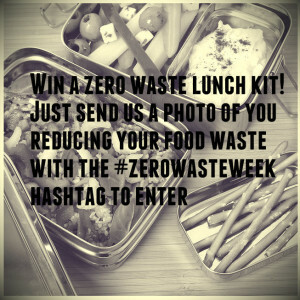 Win a Zero Waste lunch kit! We have a wonderful zero waste lunch kit to give away. 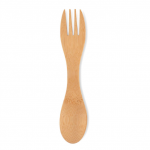 This kit includes a stainless steel two-tier lunchbox (which contains a small additional container), a glass water bottle, and a sustainable bamboo spork. This brilliant prize is worth £50.00, and could be yours if you enter our fun competition. 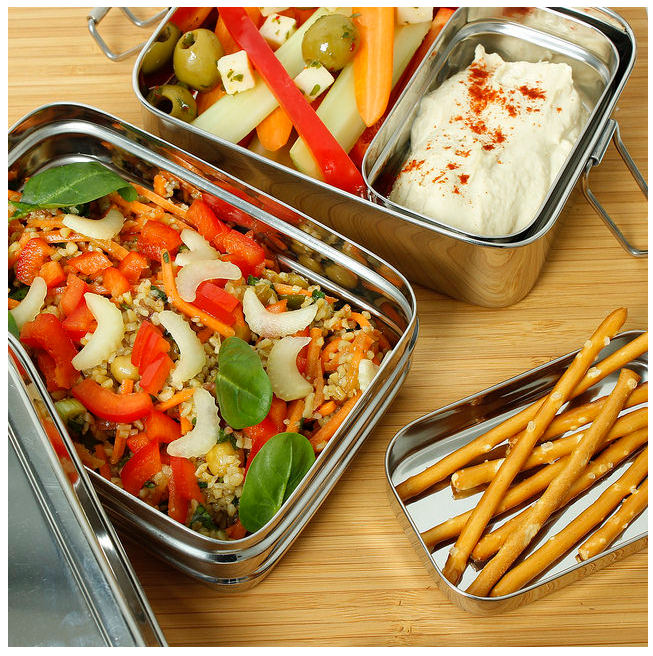 This zero waste lunch kit would be great for use at home, work, when travelling, for late summer picnics… there are so many possibilities! This is the fun bit! To enter our competition, you just need to send us a photo on Twitter of how you are reducing your food waste, or ‘using it up’. You could be eating leftovers for lunch, composting your veg peelings, or perhaps wearing a facemask made of an overripe banana! You might just be cooking less food or buying less food. However you are creating less food waste, send us a picture and let us know – it could win you an amazing zero waste lunch kit! 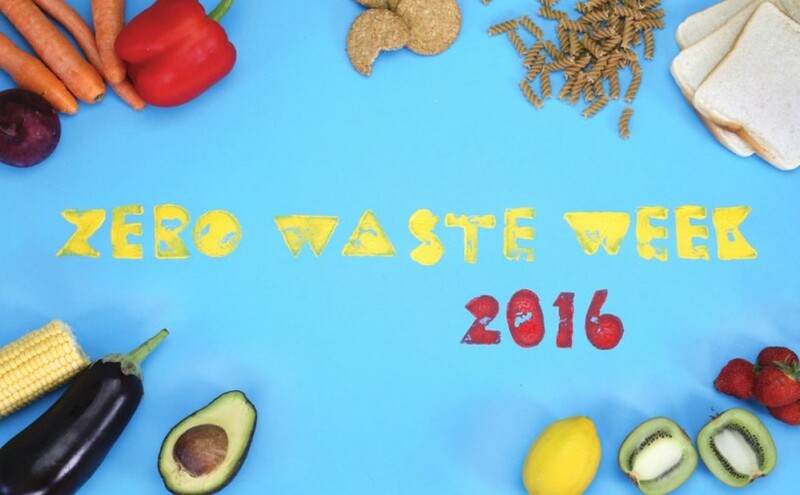 Tweet your photos alongside any information about the image, and the hashtag #ZeroWasteWeek. It’s that simple! You can enter the competition as many times as you like, with different food waste reduction ideas. The competition will run from 10am GMT on 1st September 2016 until 10am GMT on 30th September 2016. Any entries made before or after this time will not be counted. The winner will be chosen by a panel of judges at Forge Waste & Recycling, and the chosen winner will be notified by 7th October 2016. If the winner does not respond before 14th October 2016, the prize will be forfeited, and we will select a new winner. The competition is open to UK residents only. We therefore reserve the right to select a new winner if the original winner does not live within the United Kingdom. Entrants may enter as many times as they like, using a different image each time. Forge Waste & Recycling reserve the right to publish the winner’s name and general location (town / city) on our website, and in media regarding this competition. If items within the prize are out of stock or discontinued at the time of the competition ending, we will select replacement items of a similar value and function – but still, of course, within the zero waste theme. Colours cannot be guaranteed.